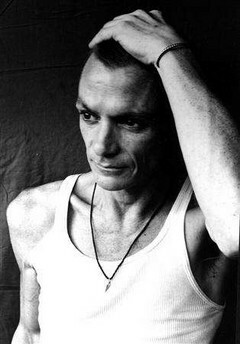 Not to get terribly heavy, but in light of last weeks terrible news that Chris Whitley has passed away, I felt I should share a little something. I have always loved his songwriting and singing. I got to see him live once playing solo (I think it was the Knitting Factory in New York) and I remember him stomping on a little wooden box that was miked and tricked out a little, effects-wise. A great sound came out of that thing, and was a perfect percussion accompanyment to the gorgeous doings on his guitar. My ex-boyfriend, Eric, always said "We better power down," meaning shut off all the lights, etc., before you leave your apartment to go out for the evening. I always said something like "could it be time?" referencing the lyrics, or just stated singing the song, and of course he didn't know it. So here it is for your listening pleasure. Listen to how wonderfully the extra 2 counts before the chorus really kick it up a notch. And please turn it up.